Whether you are completing a new installation, moving a machine during a weekend emergency, or checking in a pallet of returns, scan the tags to record GPS, user and time permanently. Assets assign to locations with a touch of a fingertip from the mobile or a mass edit from the web and indicators confirm what you should expect at a glance. Totals roll up and recalculate as assets move. Touch the name and see all the equipment in a location immediately, from the office or from the parking lot before a sales call. CYA identifies the latitude and longitude of any address, checking that GPS against the cell phone when you perform a scan. The system allows you to adjust the scan radius and re-center manually to account for large properties or cell phone drift. Placements capture areas inside the regular GPS radius, like prep stations, breakrooms, or warehouse rows. Lookup the GPS of a location or scan with a touch on Google Maps. 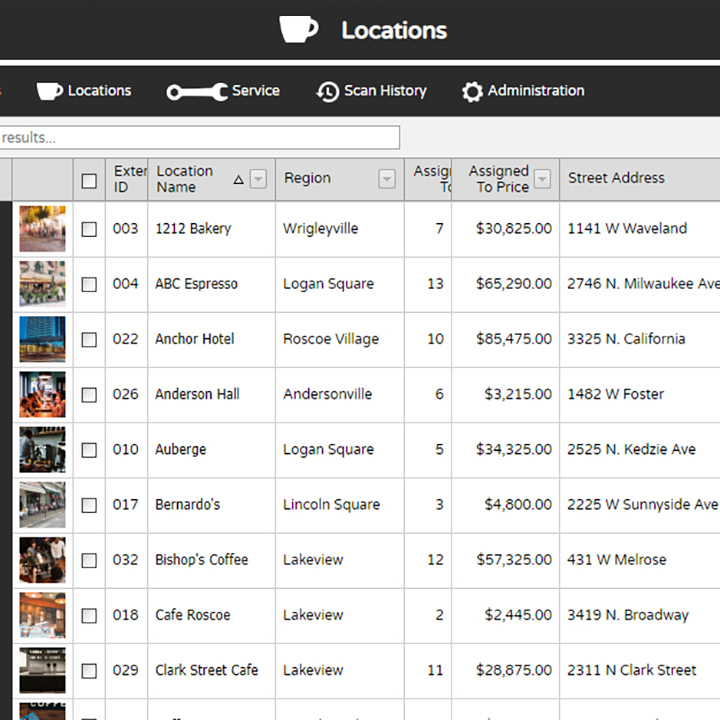 Asset and location details are sortable in lists that you control. Sort, rearrange and hide columns of data to see what you want. CYA Reveal data shows the count and value totals of whatever you sort. Asset indicators give you an at-a-glance roll up of most urgent scenario by location, green, yellow and red. Haven’t visited a location in a while? Six assets in a location, but only confirmed five? 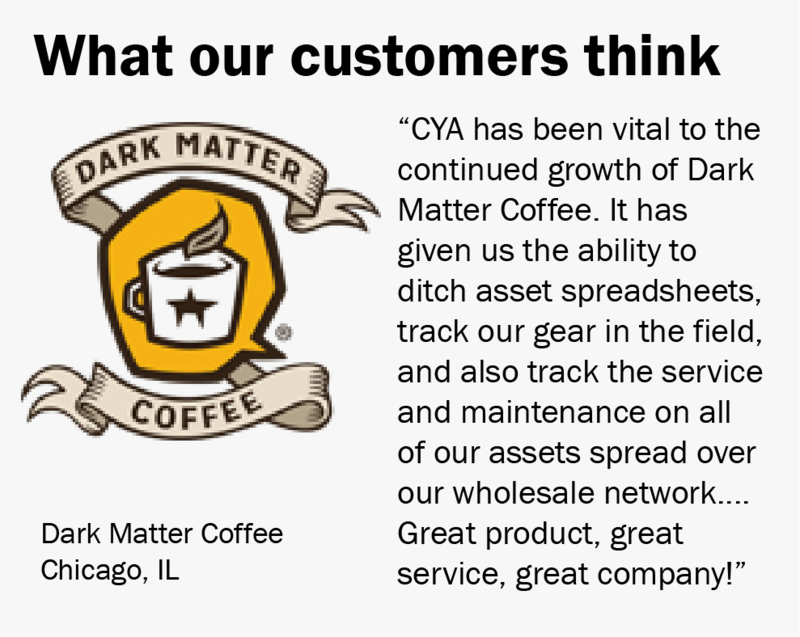 Outstanding service calls at a location? The bar code indicators will let you know. When you’re ready, download your data for use in other programs. Like assets and service, locations have their own notes and attachments. Need a proof of insurance document to get into a specific building? Attach it to the location for easy emailing while talking to the dock security. Take photos and detailed notes, with time and user stamps recorded for a rolling history.